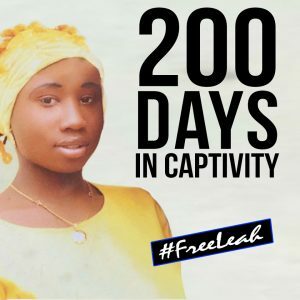 Nigeria (MNN) — Today marks 200 days, or six-and-a-half months, since Nigerian terrorist group Boko Haram kidnapped Leah Sharibu. Bethany Collins with Voice of the Martyrs Canada says Boko Haram recently released a 35-second audio recording from Leah. Read the text of Leah’s audio message here. Leah’s parents confirmed that it was her voice on the tape. “Leah gives a couple of sentences asking the government and the world to advocate for her release,” says Collins. On the evening of February 19, Boko Haram terrorists entered the campus of the Government Girls Technical College in northeast Nigeria with machine guns blazing. Claiming to be soldiers, they rounded up and kidnapped 110 school girls, Leah Sharibu included. Approximately one month later, Boko Haram released most of the girls they had captured. The Islamic militants have abducted over 1,000 children since 2013. “In interviews, the girls who were rescued said that their captors told them, ‘You’re Muslim, you shouldn’t be punished, so we’re going to send you home as long as your parents don’t send you back to school’,” Collins recalls. As explained here, Boko Haram began escalating its reign of terror in 2010. Although they persecute any non-Muslim entities, they seek specifically to rid Nigeria of Christ-followers. In March, Boko Haram held on to Leah Sharibu because she would not turn her back on Jesus. Today, on the 200th day of Leah’s captivity, VOM Canada is calling believers worldwide to prayer. “We’re asking our followers to pray for 200 hours. The 200 hours represents the 200 days that Leah’s been held captive,” explains Collins. Now that you know, will you stand with us in prayer for Leah Sharibu? “We do pray for her release, but we also pray for her resolve and her faith while she’s in captivity,” says Collins. You can join the prayer campaign on social media by using the buttons below to share this story with the hashtag #FreeLeah. 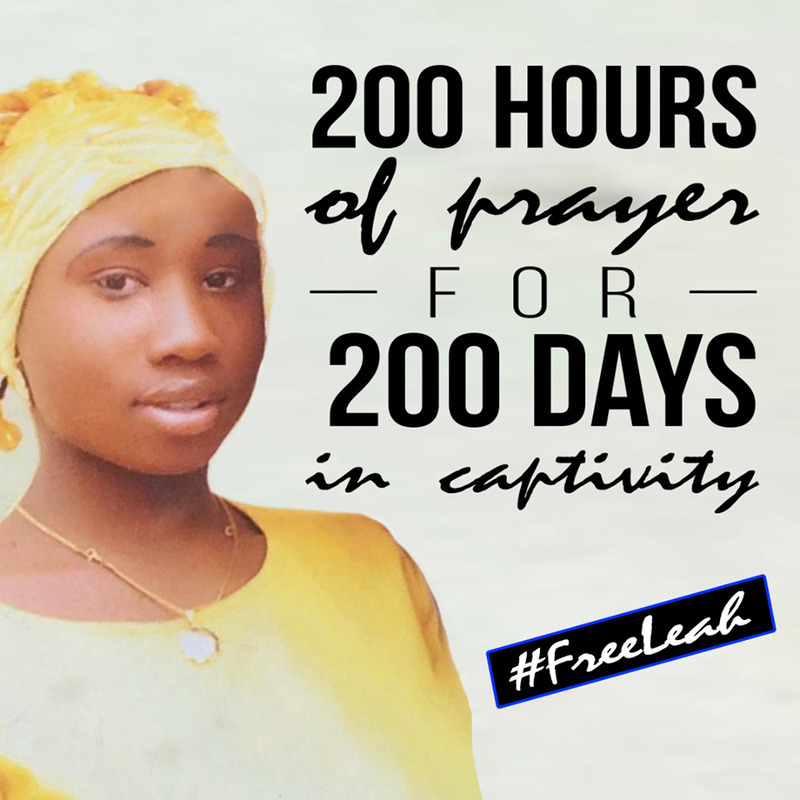 VOM Canada is partnering with Christian Solidarity Worldwide UK to facilitate 200 hours of prayer for Leah’s 200 days of captivity. The campaign is running through September 12. CSW UK also has a protest happening in front of the Nigerian High Commission right now, and you can click here to sign their petition. Read more on CSW UK’s website. Pray for Leah Sharibu’s release. If the Lord wills her to remain in captivity, please pray for Leah’s faith to remain strong. Pray Leah will gain an opportunity to share Christ with her captors. 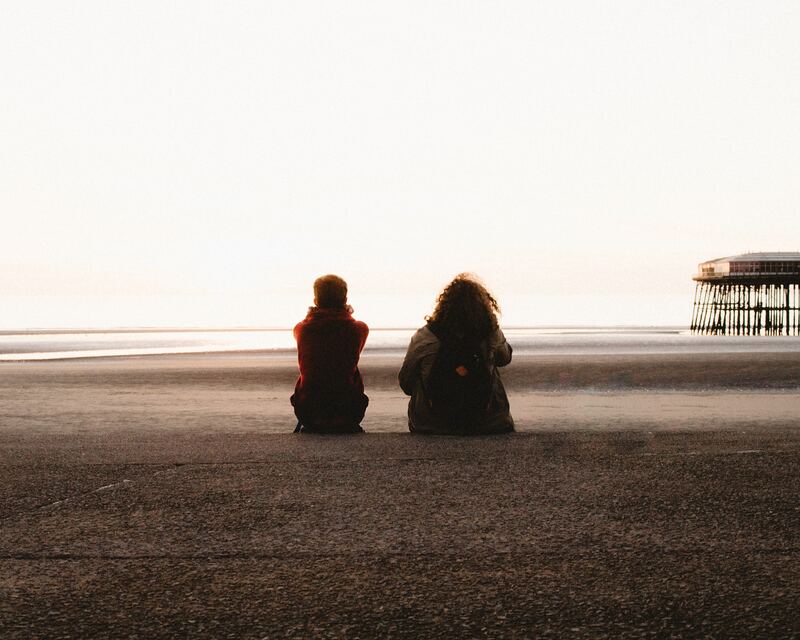 Pray for their hearts to soften and change. Ask the Lord to comfort and sustain Leah’s family during her absence.